Get your very own DVD copy of the laugh-out-loud Spring Break comedy flick! Matt Besser, Amy Poehler, Ian Roberts and Matt Walsh provide the funny, so all you have to do is buy the DVD, pop it into a DVD player/laptop and munch on some popcorn. You'll also jump for joy to know that there are some bonus features which include deleted scenes and Upright Citizens Brigade Commentary! All four original members, giving commentary on their own film? Yes, you read right! 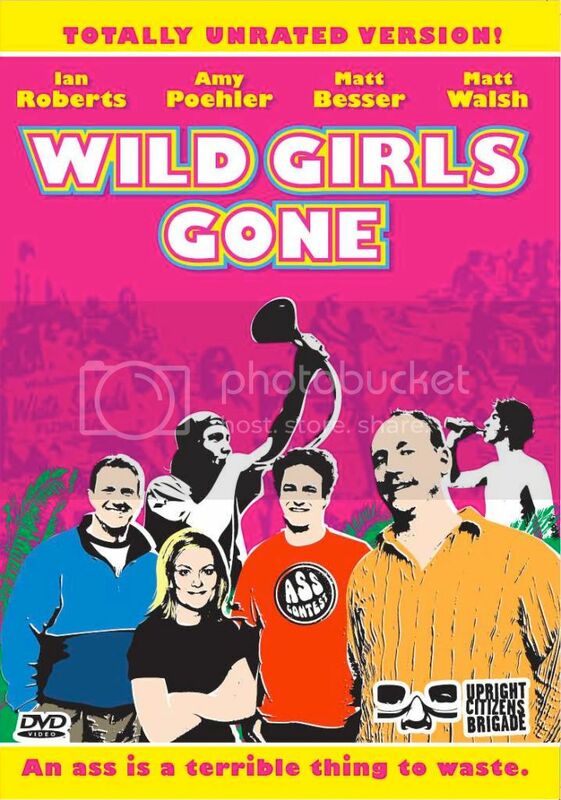 Re: Wild Girls Gone? On DVD? On Sale on UCB Theatre Store? Yep. and now it is available for rental on YouTube! right?! who knew YouTube rented flicks? it's true. and truth that includes comedy gets you 24 hours of hilarity for only $2.99. the price of 6 un-cool Bellani Pod Red Balls (http://www.save-on-crafts.com/redballs.html), unless you plan on throwing them at your friends?